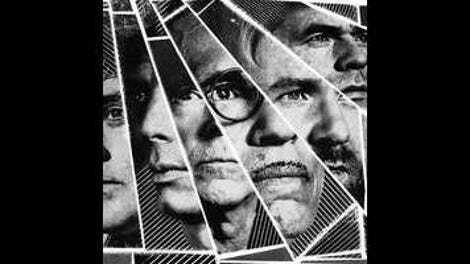 The only odd thing about FFS, the band made up of Franz Ferdinand and Sparks, is that it took so long for the two camps to team up and collaborate. The artsy Glaswegian post-punks have always been indebted to the arch lyrics and era-agnostic songwriting of the cult Los Angeles rock duo; unsurprisingly, it turns out Franz Ferdinand frontman Alex Kapranos has been a fan for decades, and his band even tried to cover Sparks’ 1974 single “Achoo” early in its existence. Even more unsurprising, the two groups apparently even initially discussed working together a decade ago. Naturally, the self-titled debut album from this six-piece group is impeccable and slyly funny, full of songwriting that’s clever and intelligent without devolving into smugness. Songs castigate bumbling romantic losers (“Johnny Delusional”), the rich and famous (“The Power Couple”), and shrewd sociopaths (the Bowie-esque, subdued “Little Guy From The Suburbs”); other songs champion stereotype-busters (“The Man Without A Tan”), delve into personal paranoia (“Save Me From Myself”), and admit to caustic misanthrophy (the boisterous pub-clinker “Piss Off”). FFS is even skeptical about the very act of teaming up. “Collaborations Don’t Work,” which rhymes the line “Mozart didn’t need a little Haydn to chart” with “Frank Lloyd Wright always ate à la carte,” proudly (and facetiously) underscores its title by grafting together disparate musical styles: operatic piano concertos, rollicking rock, staticky electro.